As I walked away from being reprimanded, for once again shirking my domestic responsibilities around the home, I heard a noise. It wasn’t a noise we hear often around here, but none the less I immediately recognised what it was, as the sound was coming from Wendy’s incubator. Quickly, I rushed down the stairs, knelt down and peered inside the top of the box. In seconds I was surrounded by the women folk of the family, purring over this little bundle of yellow fluff and it appeared that there were even more of them on their way to hatching too. 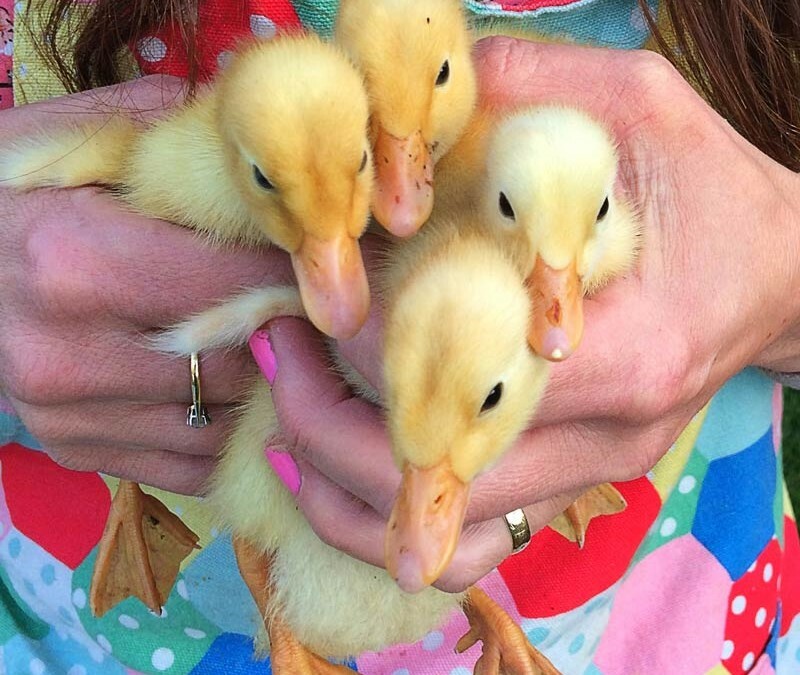 Ultimately, five ducklings were born over the following 24 hours, but unfortunately one of them died very soon after birth. The remaining ducklings are thriving, growing fast and they have already had a little bit of a paddle too. It seems as though recently we have been experiencing a period which has highlighted both life and death here on the farm. From the ups and downs of lambing when we unfortunately lost one lamb, we had the joy of the ducklings and then, just the other day, I came across a dead tawny owl. It was just laid under a tree, looking like it was asleep, without a mark on it. It got me thinking as to why or how it had died. An hour or so later I was taking Naomi and Holly, our neighbour, to school, when it came out in conversation that our neighbours too had found a deceased tawny owl and once again it had no visible signs of distress at all. Now that really got me thinking, could these owls, both found within 1,000 metres of each other have died from the same cause? And if so, could they have in fact been poisoned? From around 8.45pm that night, as I was going about my work I was listening out intently for the sound of tawny owls calling. I wanted to make sure that our local tawny family hadn’t been wiped out. It wasn’t long until I could hear a male tawny calling and in fact he went on calling all night and if truth be known, it’s been the same every night since, right outside our bedroom window. I do hope that he isn’t grieving for his lady friend who sadly passed away. Onto cheerier things and over recent weeks Wendy and our daughter Evie have been contacting local producers in order that we can sufficiently stock the shelves of our new tea shop with lots of wonderful goodies. As part of our planning guidance, we must source local produce. What has surprised me most of all is the diverse range of fantastic local foods which are almost right on our doorstep. Everything from cakes, to crisps, to chorizo, from biscuits, to bread, to beautiful fruit juice, as well as ice cream, chocolate and preserve – the list goes on. Many of these suppliers have kindly forwarded samples, which I’m looking forward to trying, after which my only question is, why have we been eating so much mass produced fodder, with far too many food miles behind them, when there is so much quality, so close to home? Yes, we maybe need to look a little harder, yes we may need to pay a few pence more, but my goodness you can certainly taste the difference.